The best things come in pairs, and that’s exactly the case with our two new Venue Success Managers. 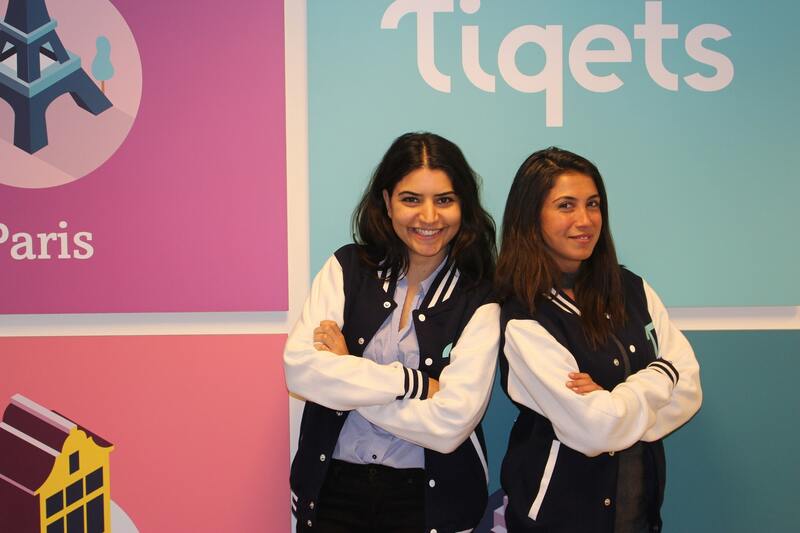 Ana Bernadino and Giuseppina Gugliotta are the latest addition to Tiqets’ Supply Excellence team, and their job is to equip you with everything you need so your venue reaches its full potential. Our role is to promote new tool launches to venues across all sales and marketing channels, as well as actively contributing to the growth of the Supply Excellence team. What does the Venue Success team contribute to Tiqets? The Venue Success team supports the Regional Managers in promoting all new launches, such as the Booking Engine and WeChat systems, to all our venues, in order to bring partnership engagement to the next level. We want to become the number one partner for our venues! What key areas does Tiqets help address? Our aim is to understand each venue’s individual needs and tailor our solutions to their long-term goals. We want to make sure our partners can fully share their content, improve conversion and reach new audiences they haven’t previously had access to. One of the major problems that venues are facing now is a huge effort that it takes to access foreign markets, like the Chinese market. Moreover, another big challenge they face is finding a way to allow their visitors to pay in their currencies. We want to help them to achieve their goals, by providing them with tools like our WeChat app or the Booking Engine to access new markets in a fast and easy way. Our goal is to make it easy for customers to find your venue online and make your online booking experience as seamless as possible. We can connect you to Google Maps and Google Search, implement our easy-to-use Tiqets Booking Engine directly on your site, or make booking tickets for your venue even easier through Reserve with Google. Whichever solution you choose, they’re all a great way to expose your venue to millions of people around the world. As the newest addition to our tech solutions, can you tell us what makes the Booking Engine a handy tool for venues? The Tiqets Booking Engine is a customizable booking tool that can be shown directly on your own website. You can sell tickets online to customers in nine languages, pay in multiple currencies and a wide range of payment options, and have it completely personalized to match your brand identity. Plus, all translations are free and we even offer 24/7 customer service. Get in touch if you’d like to know more! Fancy working with our Supply Excellence team? We’re hiring! Check out the Tiqets Careers page for all our job postings. Or read the blog to learn more about Tiqets.